Providing for your loved ones after you pass away is the final act of giving that you are capable of, and it involves all of the assets and personal possessions that you have been able to accumulate throughout your life. Given the enormity of the stakes involved you do not want to take chances with the creation of your last will. For this reason, be sure to discuss your options with our Charlotte probate lawyer. You will see certain companies on the Internet trying to make the case for do-it-yourself estate planning. They dwell on how easy it is to simply fill in the blanks on a generic template document. Indeed, this may be relatively easy, but will the document actually hold up when you die? 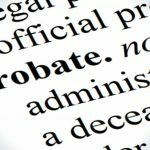 The last will must be deemed valid by the probate court in the jurisdiction where the deceased resided. Anyone who wanted to contest the will could do so before this court. And, creditors and claimants could step forward as well. Unfortunately, you won’t find out whether a do-it-yourself will does what you intend it to do until it is too late to change it. A last will, let alone a do-it-yourself will, is not your only option. And if you plan ahead with professional guidance you may find that the creation of a last will is not your best option. It is possible to save money, time, and trouble by using an alternative such as a revocable living trust. Don’t trifle with the future of your loved ones. If you want to plan ahead responsibly, take action right now to arrange for a consultation with our licensed and experienced Charlotte probate lawyer. A lot of people assume their estate is just fine if they have copies of their Will spread about. The issue with a copy, however, is it can be contested in court. So what is the big deal about having a copy of a Will rather than the original? For some families, that difference can result in several million dollars. When a person dies, their Will is taken to probate court by the executor. If the original cannot be located, then a copy arrives at court in its place. The probate court must determine the validity of a Will copy, but that will require testimony by witnesses to prove to the court that the copied Will is valid. This is especially a problem when family contests the validity of a copy. A Will’s copy can be contested when the original cannot be found, especially if family claims the original is invalid because it was destroyed. When this occurs, the interested parties can receive a portion of the estate that they were never entitled to; or the laws of intestacy can take over and the state will decide who gets what and when. Always have the original copy of your Will stored in a safe place where your executor will be able to find it. 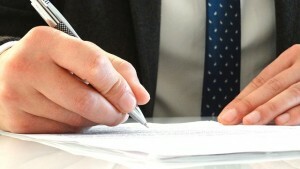 A last will is the first thing many people think of when they consider estate planning. A last will can be used to state your wishes regarding how you want your assets to be distributed after your death. 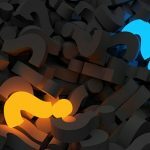 However, although the last will is the most commonly used estate planning document, it is not your only choice and it may not be the best choice for many people. When you use a last will to distribute your assets to your loved ones after you die, the estate must go through the legal process of probate, and there are reasons why you may want to avoid this. 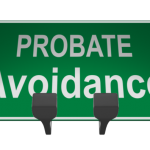 First, probate can consume a lot of time and the heirs to the estate do not receive their due until the probate court closes the matter. As we mentioned above, this court would also hear any arguments that disgruntled parties may have concerning the validity of the will. 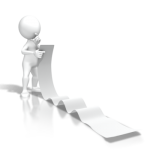 Nobody wants to see their wishes challenged and steering clear of probate can reduce this possibility. Instead, you may want to consider using a revocable living trust to transfer assets to your loved ones. These trusts enable the transfer of assets outside of the process of probate. 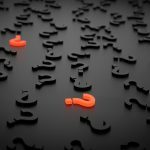 They can also include an incapacity planning element as you name a disability trustee who would handle your affairs if you become unable to do so. If you’re interested in exploring alternatives to a last will such as a revocable living trust, don’t hesitate to pick up the phone to set up an appointment with our experienced and licensed Charlotte probate lawyer. Join us for a FREE seminar today! 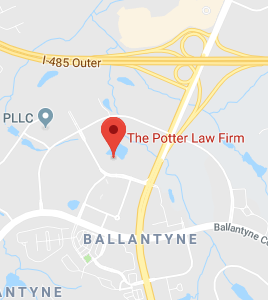 If you have questions regarding wills or any other probate or estate planning matters, please contact the experienced attorneys at The Potter Law Firm for a consultation. You can contact us either online or by calling us at (704) 944-3245 (Charlotte, NC or Huntersville, NC) or for individuals in Kentucky at (606) 324-5516 (Ashland, KY) or at (859) 372-6655 (Florence, KY).